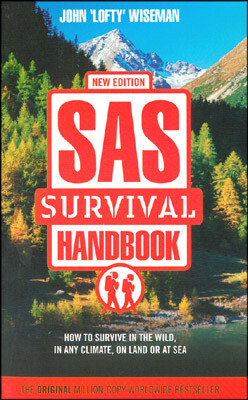 I READ A survival manual. Not like you’d read a novel. Slowly, dipping in and out. There were no gushing reviews on the back page. Not many people care about what poisonous mushrooms look like, and the subtle nuances you need to be wary of, to avoid a slow painful death from liver failure. Because like mushrooms, toxic people aren’t always that different in appearance from the good ones. Few libraries probably stock it. I read it here and there. Ten pages at a time, sometimes less. It was a consumption characterised by erratic reading habits; how to snare a rabbit using bits of wood and string; which poisonous berries to avoid, and which ones to eat when there is no Sainsbury’s nearby. Useless information really. I live in a city. Still, I continued to read. Thumbing through, bit by bit. Soon I wanted to witness someone having a choking fit so I could use the Heimlich on them, to pass out so I could put them in the recovery position, to drop dead… No, not really?! Where are the snake bites? Broken bones poking from skin? Tropical diseases? Are all the dangerous animals in another land? Make life dangerous, and my book useful! Then I read page 264. If I ran out of water, should the tap run dry, and the bottled water evaporates, this, this was my survival strategy no doubt. The illustration showed a hole dug into the earth. You place a container in the middle and get a sheet of plastic or similar material and let it hang down above the receptacle, weighed down by stones on either side. Condensation is your pal here. Over a 24 hour period you can expect a litre to have collected. I like to think I’d use a battered mess tin. But then I read some more. Not only does this method collect water, it can also collect insects and animals, trapping them in some sort of plastic open grave. Food and water, with one method, what genius. Then I thought about it some more, imagining the scenario: Tragically, I’m in Australia. There are venomous snakes, the most venomous of all continents. My body is spent, my thirst is driving me mad, but finally after a patient night of staving off mania with an invisible stick I can reap my rewards. A litre will save my life and deliver me to unsuspecting Aborigines who will nurse me back to full health, Hollywood style. Surprise! In the water trap there are three snakes. When dying of thirst the last thing you need are venomous snakes stopping you from reaching the lifesaving water. But then, isn’t that life in a way? Funny! It’s all about the water. Thanks for liking my post with the poem. I appreciate it!